So today let us talk about pearl powder. 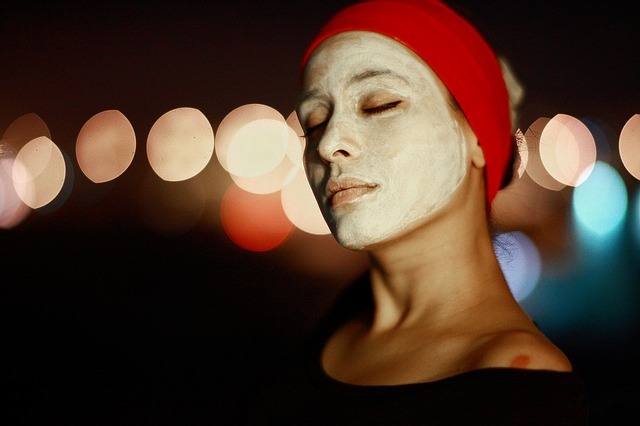 Pearl and diamond facials have been a standard in many spas. They have been used for quite some time for beauty purposes. The price tags may be sky high but the benefits have been seen by many who prefer jewel based beauty products. Recently, the product that has been making the news is pearl powder. Pearl powder for skin has been in usage in China for thousands of years. The empresses of China who are famed for their pearly complexion used to use pearl powder on their faces. This ingredient has recently taken the beauty world by storm when it was mentioned as an ingredient in many Asian cosmetics. Even though you are doubtful about the worth of using an extremely expensive product, let me assure you that the pearl powder benefits are numerous. And what’s more, the usage of it is quite economical. It is natural as well as effective. The pearl which cannot be used for jewelry is ground and turned into fine flour like powder which is then mixed with creams and facials as a beauty product. From where can you buy pearl powder? There are many brands selling pearl powder for internal and external use. You can get it in various forms, capsules, cream, powder, etc. You have to go to the mall and look for the product. You will have many brands to choose from. Make sure that the one you choose has 100% pearl powder written on it. You will most likely find them in capsules which you can empty into a container. If you don’t find it, shop it online there will be many more options. 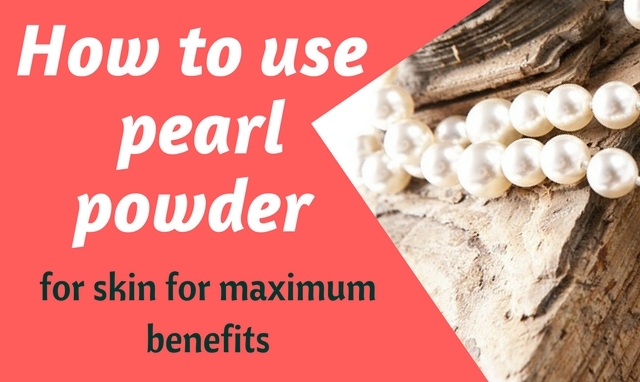 How can you use pearl powder? Pearl powder for skin can be used in many ways. Once you get the powder in hand, you can use it one of these ways we will list below. This is the most common way people use pearl powder, they turn it into a face mask. It actually helps soothe your skin and reduce any signs of redness or acne marks you had. With continued usage, almost all your marks will start to disappear. Pearl powder will smoother your skin, make it look pearly, shining and it’ll be soothed. No, you can use pearl powder with milk or simply some rose water. This is a mask that many uses and is good for the skin. It’s a very simple mask. All you have to do is open a capsule and then empty the pearl powder of one capsule. Then to this powder, you slowly start adding rose water until the mixture resembles a thin paste. Then slowly cover your face with this paste. After you apply the paste, you have to wait for ten minutes before you can wash your face. Once you wash your face you will immediately see how smooth your skin will feel. As you can see, pearl powder uses are numerous. You can use the pearl powder in the capsules in place of your regular finishing makeup powder. So once you do you make up like you normally do. You can put the pearl powder onto a tray and then use a thick but soft make up to brush to brush the powder all over your face. You will see that it will set on your skin flawlessly both for the fair and dark complexion. The powder is so fine you won’t even feel that it’s there nor will others notice. It’s actually like those famous mineral makeups that blend into your skin. These type of mineral powder reduces the shine on your face and gives a great matte look, something like a bronzer. You will see how beautiful it is and so much better than your normal powder. You can literally swipe anything with pearl powder, like use it in place of normal Fullers Earth in a face mask. And you can actually use it instead of any other face mask that you’re been using. You can use it daily for makeup, like in place of the finishing powder, a bronzer, etc. Or use it as a cream before you go to bed. You can also drink pearl powder mixed with water. It has been claimed that it calms the body and gives healthy skin. You can sprinkle it in smoothies to heal headaches and melasma. A teaspoon of pearl water that is mixed with warm pure water can be drunk thrice daily. This is the maximum dosage. Recently pearl powder has revived the stamp of beauty superfood. Pearls, which are so beautiful and precious are composed of very essential components. Pearls are said to contain about 40-80% of calcium according to quality. They at the same time have magnesium some amino acids and few minerals. Research has shown that these are the components which a female body is always deficit in. It helps with osteoporosis by increasing calcium in the body. And it really helps during your periods, to stay calm and not give into those bloody cravings, you get me, girls? Apart from that, pearl powder is used in medicine to cure diseases like constipation, infection or if you are having ulcers in your mouth. Pain caused by sores and ulcers are slowly healed by consumption of pearl powder. Pearl powder when applied on the skin boost the growth of cells and your cells rejuvenate faster. The collagen which helps to keep skin firm is also regenerated making your skin tight. It is also an anti-ageing powder and diminishes signs of aging. If you have any blemishes to acne spots that will also be reduced. Skin that has been damaged by the sun can also be healed by it, as well as fine line air wrinkles that are due to the sun. Your skin tone will become more even and there will be no pigmentation or discoloration. The big pores will be reduced and skin will become more youthful, I can say. You can get your Pearl Powder here. Truly enjoyed the information provided in the article. I willing to buy pearl powder for my sister who had bad acne scars and I’m hoping that it works wonders as you said. Thanks for this post, Jane Sheeba! Where can I get a pearl powder? Thanks. There is a link on top of the post. I’m adding one in the bottom of the post too for convenience. i bought leishipai brand pearl powder after reading this post and a few others. it is amazing! it comes in a dozen little vials that you can either drink or mix into a mask. so convenient and my skin looks glowing and a lot of the dark spots are gone. have you tried this one yet? i highly recommend. I haven’t tried using pearl powder in my beauty arsenal but I am planning to. I have read reviews about this product and I am satisfied with the quality it provides. Though the product is expensive you can assure that it is worth a buy. I’m glad pearl powder is available on Amazon. Thanks!